The religious reformation in fifteenth century Bohemia was also a social, political, and cultural revolution - the first of the great upheavals that transformed the medieval into the modern world. Beginning with a revival of evangelical pietism among the people of Prague, then coming under the leadership of the Czech intelligentsia of Prague's university, the reform movement reached its highest point under Master John Hus, who fused the fervor of pietism with the systematic political program developed by the English reformer John Wyclif. When Hus passed from the scene by submitting himself to the Council of Constance, leadership of the movement was taken up by the more radical Jakoubek of Stribro - pioneer of what was to become Hussitism's most characteristic practice, lay communion in both kinds (utraquism). 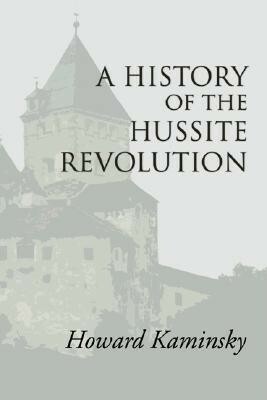 At the same time, the propagation of the reform by Jakoubek's disciples among the townsmen and peasantry of the realm balanced the more conservative tendencies of the university masters and the Hussite feudality; by 1417 the Hussite movement was an uneasy coalition of religio-political tendencies ranging from extreme conservatism to Waldensian sectarianism. Out of the interplay among the Hussite parties and their various reactions to the pressures from Pope and Emporer there emerged two main types of reformation - one centered in Prague, the other in Tabor. Both were condemned by the Roman church, but the movement in Prague, less extreme, never ceased to hope for a reversal of that decision. Tabor, on the other hand, went all the way to heresy, schism, and revolution, ending with the form of the autonomous congregational community, organized as a city-state, in 'de facto' secession from the medieval order. Religious reformism, sectarian heresy of every sort, national passions, class hatreds, laicization, and anticlericalism - all the disturbing factors at work in late-medieval Europe came together in the Hussite revolution, which provided examples of virtually every form of change with which Europe would be concerned for the next three centuries. Howard Kaminsky is Professor Emeritus of History at Florida International University. I'm the author/artist and I want to review A History of the Hussite Revolution.